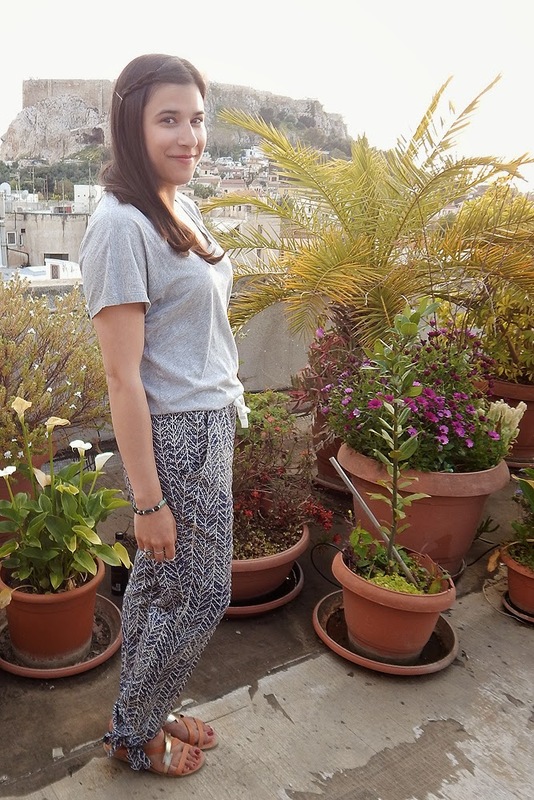 These Sea pants were too comfortable and cute to not re-wear while on my trip! I didn't re-wear much, so it was quite an honor for them. 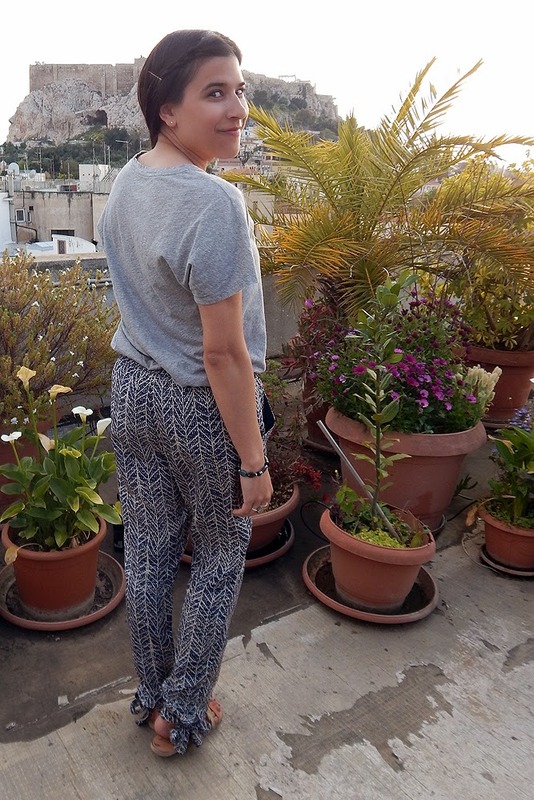 The majority of these photos were taken on the rooftop terrace of the place we stayed in. So gorgeous, and a great view of the Acropolis! One night we had a barbeque, so delicious! 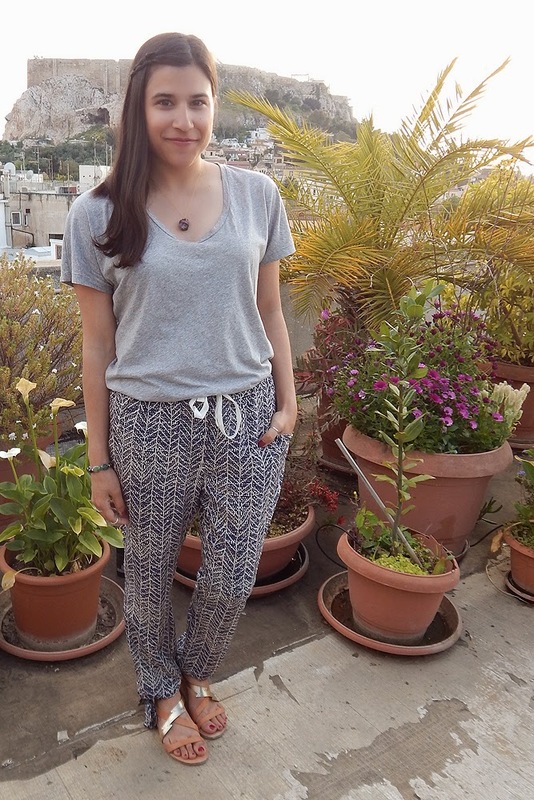 I seriously love those pants - and I imagine they'd just be crazy comfortable, especially in a place as warm as Greece! Love love LOVE those pants! They are adorable on you! That's quite a view in the background! Trousers/pants that are comfortable AND stylish score highly for me when traveling. These are great. Hope you had a fabulous day!!!! I've really been loving printed pants lately, and these just look so comfy, perfect for a day of lounging on vacation.